Please note: I am not a writer, journalist or a master of the English language. This is also my first review of a product, ever. So I do apologise if my spelling or grammar offends you. Recently I had experienced some pretty bad luck with headphones. I usually sport a pair of Klipsch S4i in-ear headphones on my commute to work, and am also often found programming with them on, piping my own eclectic and weird musical tastes aurally into my brain. The trusty Klipsch though played its last tune earlier this week, with the left channel spluttering into nothingness during my walk from the train station to my workplace. I did have a pair of original Apple iPhone 4, but as we all know from the past 11 years of history, the sound quality and comfort are quite low. I also started running again, and the headphones I used for that activity had gone to voice coil heaven many moons ago. These cheap TDK over-ear clip-on headphones weren’t designed for jogging at all, what with their heavy cans and flimsy ear foam. (I do apologise for the quality of these pictures, they were quickly snapped on my iPhone 4. I don’t possess a digital SLR, sadly). However, the timing of all this was impeccable. The Klipsch set that had died were actually still under 12 month warranty, so I sent these off to the online store that I bought them from (Addicted to Audio, who offered a free replacement and customer service was quite good). 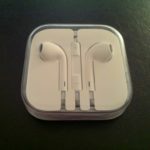 In the meantime, using the Apple iPod headphones as a temporary replacement was akin to stuffing acorns in my ear canals – Apple had just started selling their new EarPods and I decided to give them a try. Both the Klipsch replacements and the EarPods came in the mail yesterday, so the logical thing to do is test out the performance of the EarPods and see how they scrub up to more expensive and ‘serious’ headphone sets. The EarPods sell on the Apple Store for AU$35.00, which is a price point that is neither incredibly cheap nor overly expensive. You would hope from a set of headphones at this price point to provide some decent audio performance. The older iPhone standard headphones offered rubbish audio quality, almost non-existent bass and the damn things kept slipping out of my ears. As they were not designed as in-ear headphones, they just sat gingerly in between my external auditory meatus and my tragus, allowing a lot of external noise to leak inside – highly annoying. Whenever I would turn or tilt my head, there would be a good chance of one popping out. When they did stay in my ears, I struggled to keep them there for a length of time – 30 minutes into an album, I would have to yank the headphones out as I couldn’t bear them anymore. 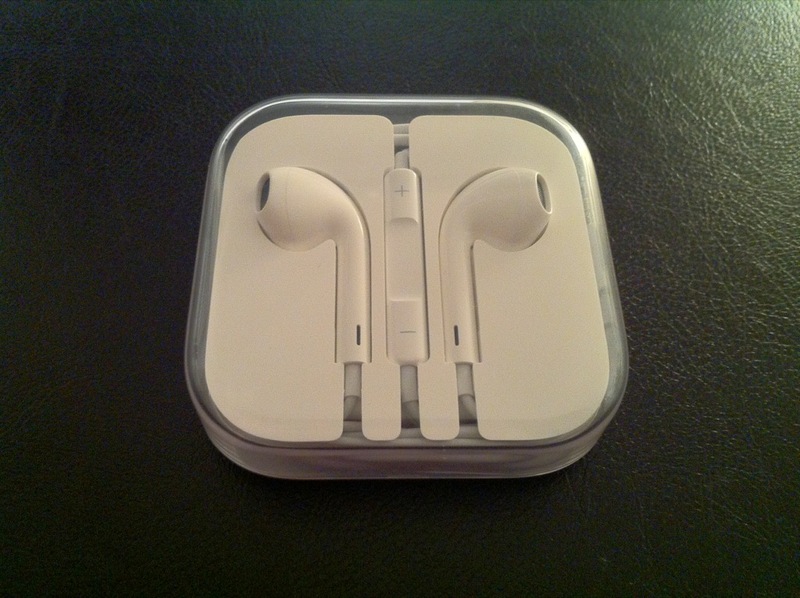 The EarPods on the other hand, are quite a surprise. 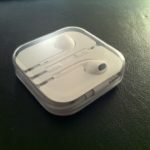 Taking them out of their newly designed plastic holding case earlier today – a good addition, by the way – and plugging them into my ears, they were quite comfortable to wear, even for long periods of time. They don’t do a complete seal in your ear canal, like what in-ear headphones do, but the conical shape of the headphones allow you to place them deeper inside your ear than what the older iPhone/iPod headphones could allow. I do have rather large ear canals though – I always opt for larger headphone inserts with new headphones – so your results may vary. I whipped out the album that I usually use to test headphones and speakers – Scooter’s No Time To Chill – and gave the EarPods a run for their money. They produce reasonable bass, but the treble range of sound is always prominent – this doesn’t appeal to my musical taste, and any of Scooter’s music could possibly not match very well with the EarPods as their excessive use of high-hats are still ringing in your ears well after they have been vigorously smashed on track – but I can see how these EarPods could very well accommodate for a wide range of rock or pop type of music. The track “Fire” by Scooter however, did still give me goosebumps, so these EarPods ain’t half bad. A friend of mine asked if they’re any good when going for a run. 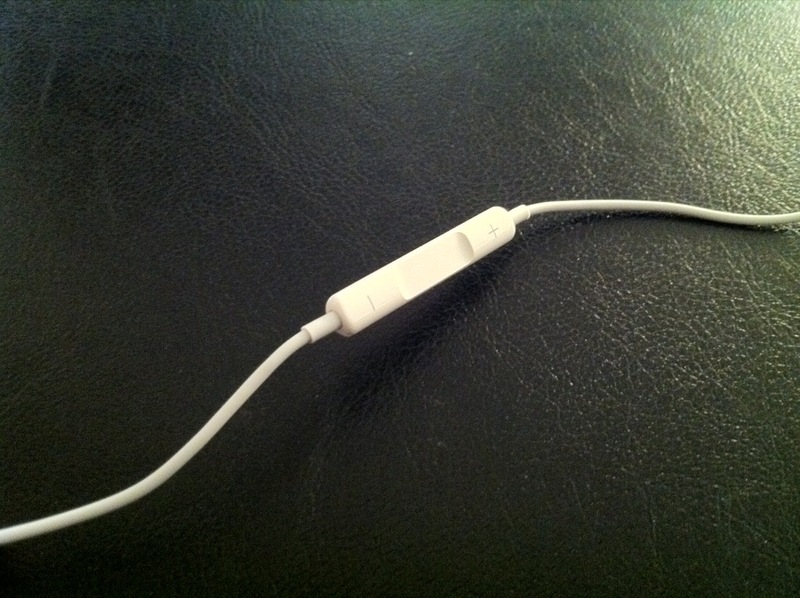 I did this very thing last night, using the EarPods as my source for music and had it plugged into my iPhone 4 which was then placed into an arm-band. You would think from the slippery-looking conical shape of the headphones that they could fall out easily, but for the 30 minutes I jogged, not once did they fall out nor did I have to readjust or reseat the pod. The cable is long though, and it does look pretty funny seeing this white cable flopping about as you’re hitting the pavement to your power song. I would think that if you were the type to have your phone / music player in your pocket instead, then the EarPods would be quite suitable, but I can’t run like that so I’m not 100% sure myself. 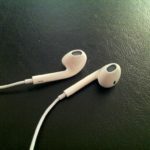 Do keep in mind though that the EarPods are not specifically designed for jogging, so it is currently unknown how it would be able to handle excessive ear sweat (ew). Gripes? I have a couple. 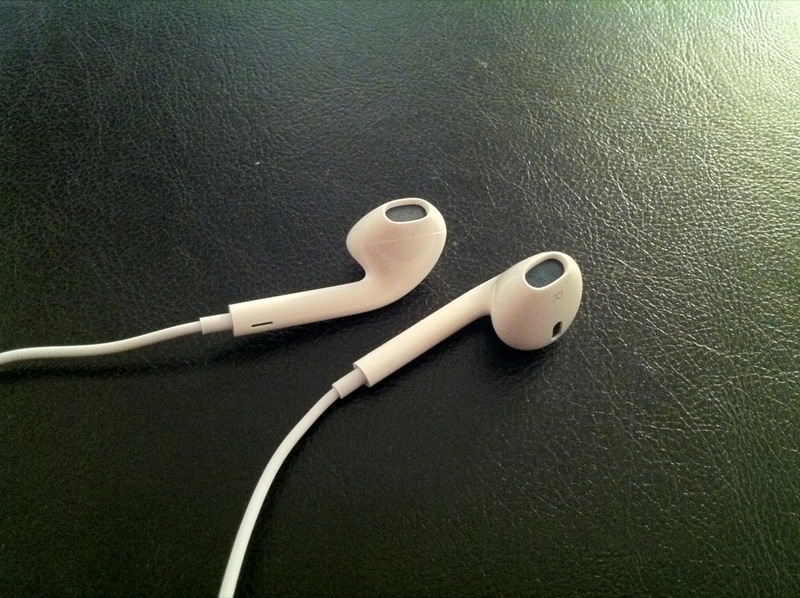 It always takes a few seconds to see which EarPod goes into which ear – with their weird shape, I can never tell from feel or quick glance alone. 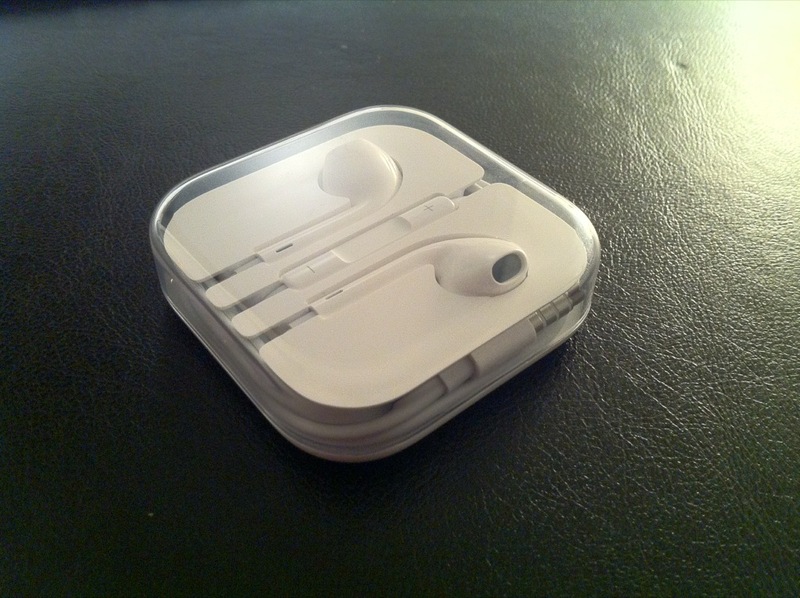 The box that they came in (which is a great addition, considering the identically-priced previous iPhone / iPod headphones came without one) is neatly designed and after a few goes on wrapping the headphones inside the white plastic moulded cut-outs, you get used to it. 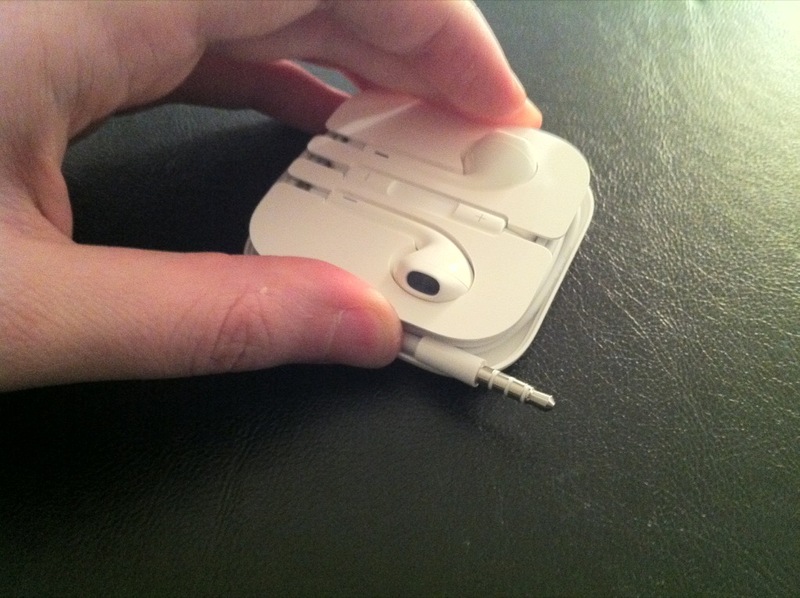 It is a little strange though that you can’t really wrap it too tightly around the base of the case, otherwise you will have issues with seating the headphone connector in a way that will allow the clear plastic lid of the case to snap shut nicely. 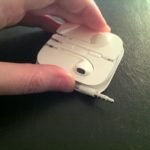 Even wrapping with a bit of slack is a little troublesome, as the Y-junction in the cable (where the cable splits off to left and right channels) takes up a bit of space and forces the rest of the wrapped cable outside of the case bottom guides, possibly pinching the cable itself when replacing the lid. So wrapping up (pardon the pun), these are a good buy, at AU$35.00. When your $100+ in-ear headphones pass on to the audio heaven in the sky, these are a good set of backup headphones to have as you wait for replacements. It will save you from auditory nightmares, and you won’t be smashing your head against the wall while listening to these like the previous model. Great review Geo. You could be a hand model with those hands! First of all, had to laugh at the Ken Bruce reference (and the youtube link). 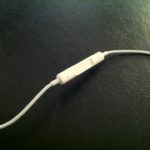 Have used the old school (rubbish) iPhone ear pods for almost six months now since my belkin ones ‘disappeared’ (I blame any one of my three children). I run with a headband or a beanie on to hold them in so it sounds like I might even be able to go for a run head-wear free with the new Apple ear pods.